This week, we have a special podcast with managing editor Troy Reeves and Oral History Review 41.2 contributor Amy Starecheski. 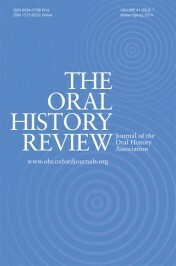 Her article, “Squatting History: The Power of Oral History as a History-Making Practice,” explores the ways in which an intergenerational group of activists have used oral history to pass on knowledge through public discussions about the past. In the podcast, Starecheski discusses her motivation for the project and her involvement in the upcoming Annual Meeting of the Oral History Association. Check out the podcast below. You can learn more about the Annual Meeting of the Oral History Association in the Meeting Program. If you have any trouble playing the podcast, you can download the mp3. Headline image credit: Courtesy of Amy Starecheski. Amy Starecheski is the Associate Director of the Columbia University Oral History MA Program. 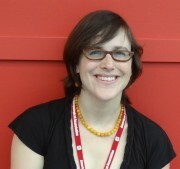 She is a member of the Core Working Group for Groundswell: Oral History for Social Change. She has a PhD in anthropology from the City University of New York Graduate Center. She is the author of “Squatting History: The Power of Oral History as a History-Making Practice” (available to read for free for a limited time) in the Oral History Review.